How does your property's waste measure up? Select your role in the hotel industry to find your responsibilities in food waste reduction. Follow the toolkit from the beginning to plan your food waste management journey. Check out the resource page to download what you need now. 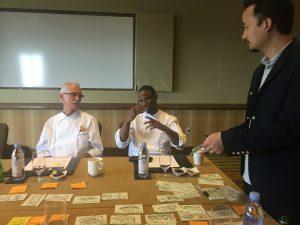 The Hyatt Regency Orlando, under the leadership of their Executive Chef and with support from their Senior Director of Events, participated in a three day rapid prototyping exercise to redesign the standard hotel buffet. The findings from this exercise along with a description of the successes and challenges the property faced can be found below. 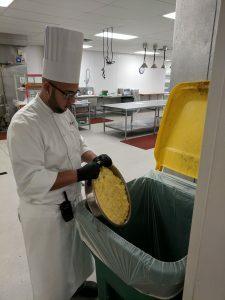 As part of Hyatt’s global commitment to 2020 Environmental Sustainability Vision, the hotel team at Hyatt Regency Orlando had been engaged to brainstorm and test new ways to reduce food waste at the hotel. The Food Waste team at World Wildlife Fund (WWF) visited Hyatt Regency Orlando to observe and audit a large buffet style lunch event. The education by the WWF team had a noticeable impact on the chefs’ and kitchen staffs’ meal production procedures. Among the hotel team’s efforts, Hyatt Regency Orlando decreased their standard production rate by 25% per event. Additionally, by analyzing the first-day orders by attendees of the same multi-day meeting, the hotel team can better prepare meals and portions for later days that meet those guests’ specific preferences. This strategy results in less leftover or uneaten food and beverage at the end of the meeting. The hotel’s Executive Chef and Executive Sous Chefs are engaged with staff on waste reduction topics. Food waste reduction techniques are discussed at all bi-monthly staff meetings, as well as daily culinary and pre-shift meetings. Real time discussions when food is brought back to the kitchen have encouraged staff to brainstorm what possible contributors to that food waste are and what solutions can be implemented. As part of this pilot, Hyatt Regency Orlando participated in a rapid prototyping lead by IDEO to design a waste-reducing buffet. 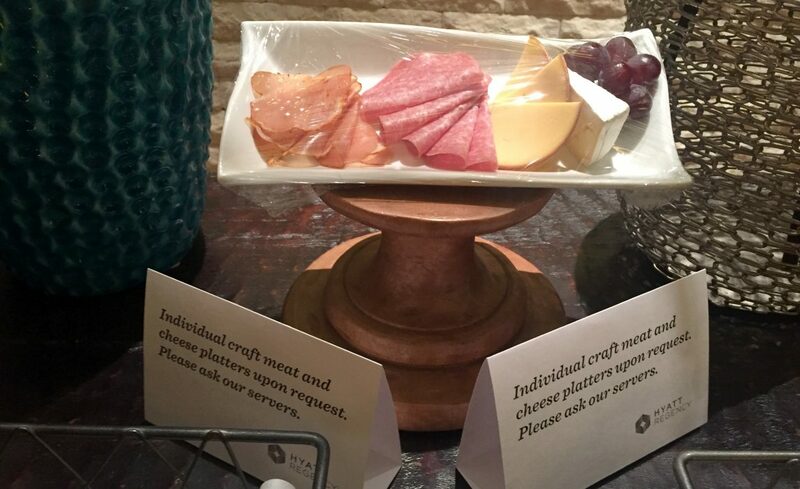 The outputs of this pilot have been continued, including: premiering a “meal of the day,” serving smaller plates with easy options for requesting more, reducing the number of items placed out at one time according to guest preferences, and closing one side of the buffet as events conclude. Each of these efforts have been done to minimize any noticeable change in the guest experience with remarkable success. By 2020: Every managed hotel will divert more than 40% of its waste from landfills. Despite the tremendous steps that Hyatt Regency Orlando has taken on the production side, food waste from buffets remains an industry obstacle. The nature of the business means it can be difficult to anticipate meeting day attendance and to institutionalize a waste prevention culture. In a single hotel where there are multiple restaurants and places that serve food and beverage, driving consistent change is more difficult. Hyatt Regency Orlando has a well-established partnership with Second Harvest to donate all food that cannot be reused within the hotel’s operations and meets donation requirements. They have two pick-ups a week and consistently donate around 425 pounds per pick-up. Food waste that cannot be reused or donated is sent for composting offsite. In the future, the hotel would like to find solutions that reduce coffee, juice, and dairy waste. Hyatt Regency Orlando is also planning to improve their post-consumer waste tracking to better inform their production practices. In an effort to address the growing issue of food waste, Hyatt is partnering with Feeding America and its network of local food banks on food donation pilot programs at four Hyatt hotels.